HJ: When you trust the wisdom of life — of the universe — your life takes on a whole new level of ‘awesomeness’ for lack of a better term. Meaning you let go of how you think your life should be and fall in love with the wisdom of how it is. This is radical acceptance. And that doesn’t mean ‘accepting your lot’ and being happy with something that is fundamentally unfulfilling, but instead accepting the desire to change and embracing that wholeheartedly. And then letting your inspiration take the lead as you move forward, which is the universal intelligence speaking through you. Can you think back to a time in the past when you really wanted to create a life-change but had a definite sense of there being both a literal and a vibrational gap between where you were and the situation or place you would much rather be? In the intuitive coaching and strategising I do with clients day to day, I notice that this is precisely the gap that creates some of the most potent varieties of anxiety and fear. When someone steps into an initial consultation with me, it isn’t uncommon to hear questions such as: Can I really do this? Can I really have what I want? What will others think? Will anyone ‘get’ it? Can I afford it?or How will spending money enable me to create the change I want? ‘The old’ runs the gamut from old family roles you may have been handed from birth to old identities, roles and ways of being, thinking and believing that no longer reflect your capability, magnitude and inner knowing in present time. Often when these begin to stifle the part of you that wants to move and grow, it can cause you to feel frustrated, angry or stuck. Spiritual restlessness or the sense of not feeling anchored or invested in the life around you is another sure-fire sign that there is a mismatch between your inner and outer worlds. All of the feelings identified above stem from that inner flow of divinity within you that is constantly seeking expression through your intuition and thoughts – and specifically – when that inner flow is being stifled rather than allowed to flow. Self-awareness at this point is so important because it can mean the difference between being able to really tune into the direction in which your relationship with your life is trying to shift and taking decisive action towards it or unwittingly sinking into self-pity, victimhood and despair when you forget that as a soul residing in a human body, you were born with the free will to consciously choose and create your life. Once you realise that there is an inner knowing within you that is actually pretty clear on what it is in your world that overlooks or altogether invalidates the important viewpoint and gifts you were born to share, it can be really helpful to use these to reflect back to you the truth about who you really are. For example, have you been showing up to a retail/office/entry-level job merely to draw a salary and pay the bills while you truly feel inspired and come alive when working, moving and creating with kids in the outdoors? Acceptance, understanding and an unquestioning commitment to what makes your heart sing paves the way for your sacred purpose to reveal itself to you. Conversely, it is easy to look back and notice that the types of experiences and relationships you created when you weren’t consciously connected into your truth, probably only spoke to a shadow of who you really are. One of the funny things that happens when you live your life according to a core (and oftentimes limiting) belief is that there is an entire spectrum of possibilities you cannot perceive and which as a result, seem out of your grasp (see my article: Break Through Your Glass Ceiling). This is often why people feel it to be more sensible to live their lives with what they call a ‘pragmatic’ approach. What is important to realise here is that such an approach is usually head rather than heart-led. When you consider that it is your heart that knows exactly who you are and what you need in order to feel complete, healthy, happy and aligned, you can see how decision-making from a purely head-space can lead you down an entirely different life-path. And so for this reason, in order to claim that deep knowing and wisdom about who you reallyare, it requires you to dig really deep into yourself to find your courage… that which does not need to respond or justify itself to the skeptics and naysayers… this is the purest, most truthful, concentrated essence of you. It is valid purely because you exist. Trust comes into the equation because you will find that you are often the only person aware of the sacred wisdom within you that is wanting to come forward and reveal itself to the world. You are its protector, care-giver and co-creator all rolled into one. 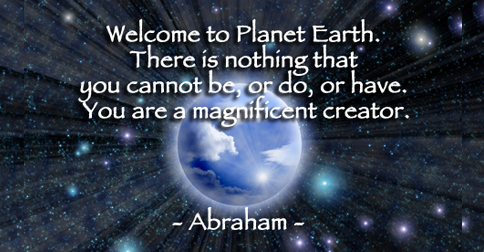 You have been entrusted by the universal forces to share your real self with the world. Trust in the universal intelligence enables you to ‘step aside’ so the divinity within you can express and shine in the best way it knows how. Stepping aside means that you embark on a heart-led journey that knows precisely how to create its own way, and to honour and sustain you in the process. Your easiest option, not your most fulfilling one, is to stay right where you are, just as you are. This is by far the most important point to consider when it comes to truly being able to create and have what it is you have been saying you really want. For all your earnest wishing, wanting and hoping that your situation would improve, there is a slippery slope you can descend when you unconsciously focus your attention on the external and sadly, end up disempowering yourself. For example, you might tell yourself that you need to wait for the right or perfect time… when the children are grown say… or you might hinge your ability to initiate the change you want on someone else’s… your spouse’s or partner’s… future behaviour or actions. When you do this, realise that what you are really doing is not only taking yourself out of the present moment – the only moment you truly have – but out of your inherent value, wisdom, power and potential in that moment as well. Your fears about stepping into unknown inner and outer territory that you instinctively know will emerge once you begin to acknowledge and address this core belief. The very point at which you become aware that life is giving you a choice either to harness the winds of change or stay right where you are, as you are, is where the courage and self-trust mentioned above really come into their own. You CAN have what you really want! As you claim, remember, and re-claim more and more of who you really are, you simultaneously build the energetic stage upon which your deepest desires for your life can take root and begin to emerge. Your magic and true co-creative potential becomes unleashed when you show up to yourself,honour your deepest desires and needs in the best way you know how, and are determined toclaim what it is you say you want.